Stacy Horn » Blog Archive » New York Public Library – What are you up to?? New York Public Library – What are you up to?? I agree libraries need to change and the more materials that are digitized and made available online the better, but this plan is all over the place. For instance, I don’t quite understand why this needs to be both a research and lending library. Why can’t it be made an even better research library? They’re closing some collections down, moving a lot of books offsite, which I can live with, but there’s not a lot of specifics about what we’re getting in return. I decorated! As usual I decorated the bookshelf next to my desk and that’s probably it for me. Ha, yeah, it’s my Christmas rat! But you read about the recent studies that showed that mice feel empathy, and will rescue a trapped friend over food, right? 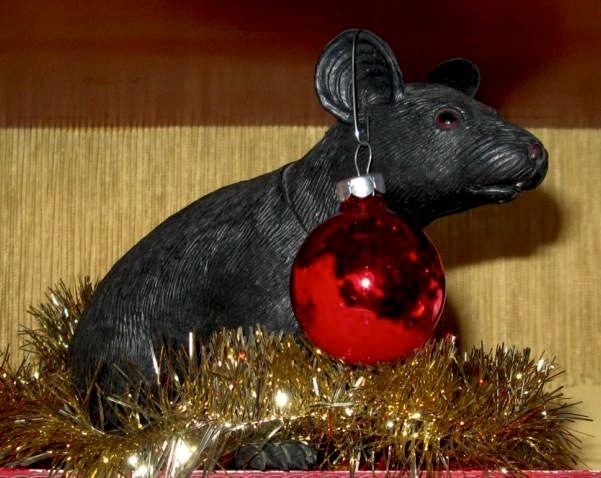 So, rats can have the Christmas spirit!